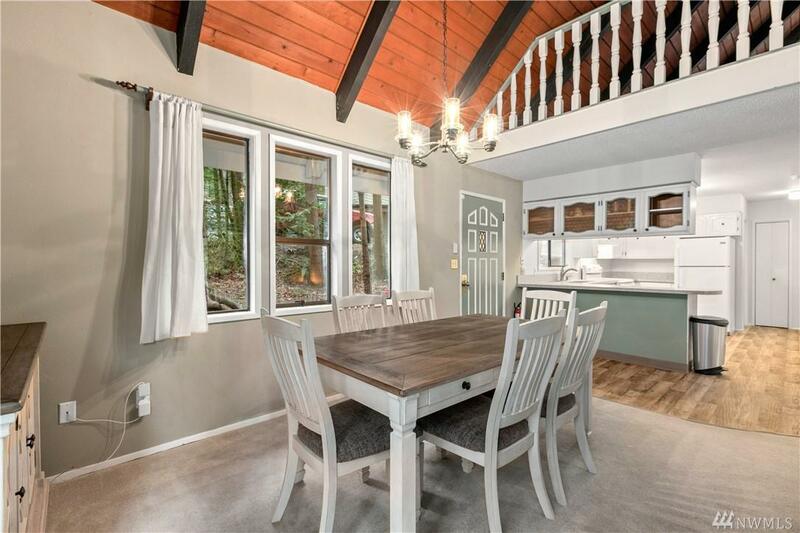 Spacious chalet home on flat, double lot will meet all your needs! 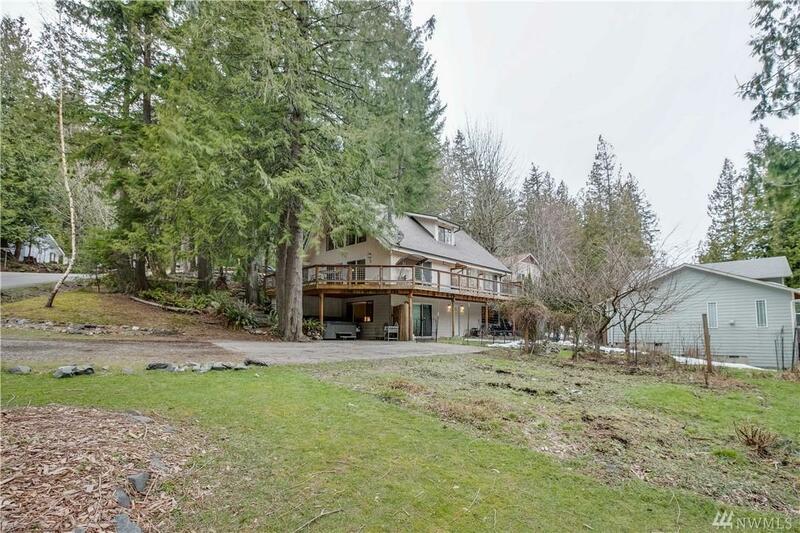 Enjoy beautiful vaulted tongue & groove cedar ceilings, large picture windows, huge entertaining deck, two main level bedrooms & wood stove, perfect for cozy nights. 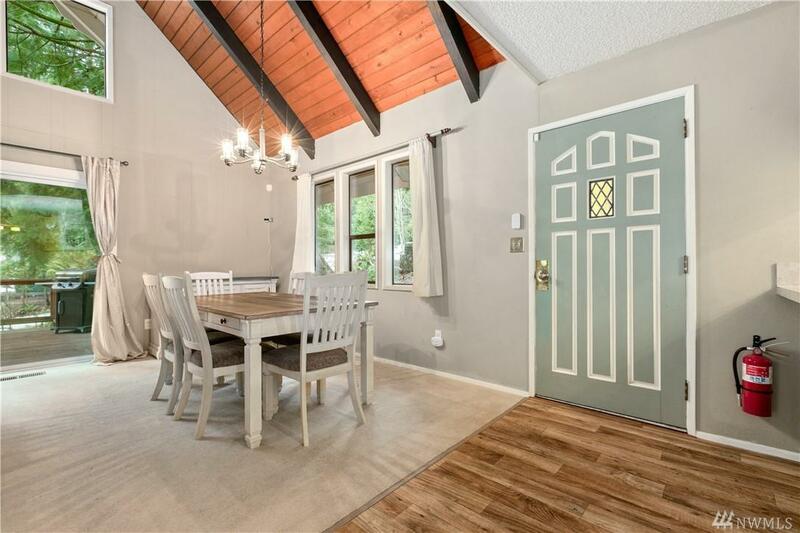 Large daylight basement features 2BR, full BA, large den & separate entrance. Large loft is open to your imagination. 2nd lot is flat, sunny & perfect for a garden or large play space! 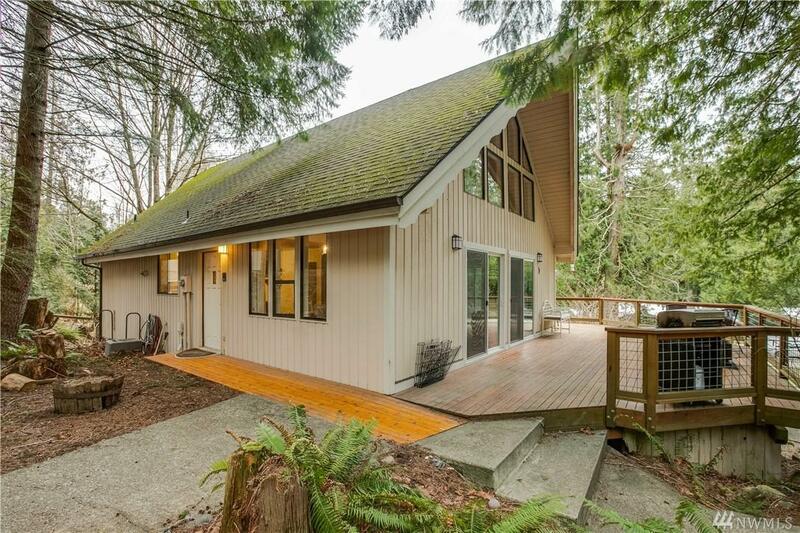 Area amenities include: parks/trails, Lake Whatcom beaches, marina, pool & more!